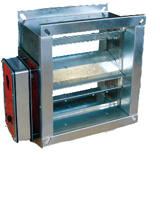 Damper Options Available From Be Safe Direct. Please Contact Us for a Quote. 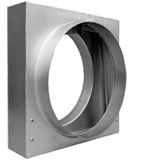 The DD Series Duct Balancing Damper was designed for duct installations to balance/regulate airflows. All spindles revolve in low maintenance nylon bushes which are fitted within pressed inserts. Precise blade positioning is achieved via a robust dual-purpose quadrant and spindle assembly, operating the linkage mechanism which is located outside of the airstream. The quadrant assembly is designed to facilitate simple conversion to motorisation without the need for additional components. The FD Series Steel Curtain Fire Damper is designed to stop the spread of fire through ducts, walls, floors and ceilings. The product range has many features and options to meet the requirements of specifiers, contractors, local and national authorities. Dampers are available to suit both low/medium and high velocity applications. 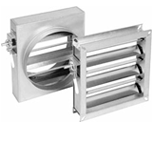 The SC series Smoke/Control damper has been designed for the control of smoke within ducted systems where the migration of hot or cold smoke requires to be contained to allow the safe evacuation of occupants via designated thoroughfares. The SC damper additionally allows for the clearance of smoke and other associated common contaminates in a post a fire condition, where elevated temperatures are or have been present. 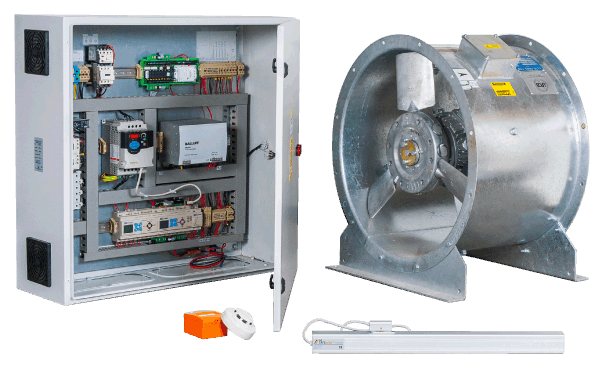 The SC damper can also be used in conventional ducted systems where manual or motorised control dampers are called for in the design of environmental controlled spaces for both ambient and elevated temperature conditions.